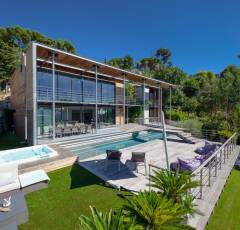 One the last area on the Roquebrune Cap-Martin plain with a villa of 174 m2. An architectural project was created making use of the “COS” of 270 m2 and collaborating with the international architectural atelier WILLMOTTE Associés. 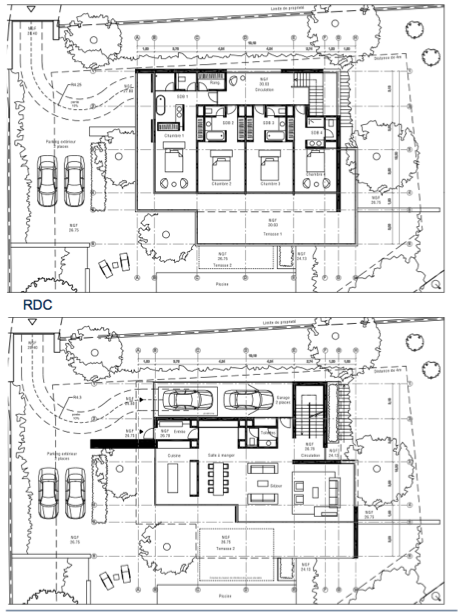 A demolition of the existing villa was supposed followed by a construction of a new 340 m2 house with a pool and 7 or 8 parking places in the area planted with trees. The building permit application had been made in January 2013. Under the building permission proceedings, the Sites du Vaucluse et des Alpes Maritimes committee declared permission of the above project in March 20, 2013. Both the demolition and building permits issued in December 13, 2013 are valid without any possibility to withdraw or suspend. This property includes a private access way and a closed already adapted area with the house to be demolished. This private site has three main advantages. 1. 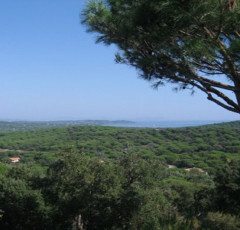 The view towards the Mediterranean Sea in its north-eastern area. 2. Exuberant vegetation extending the view up to the neighbouring property. 3. 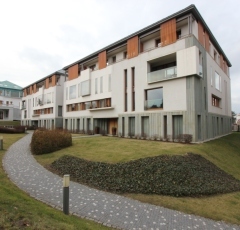 The site profile convenient for building in the upper part with usage of landscape features and with the inner sloping area kept covered with vegetation. 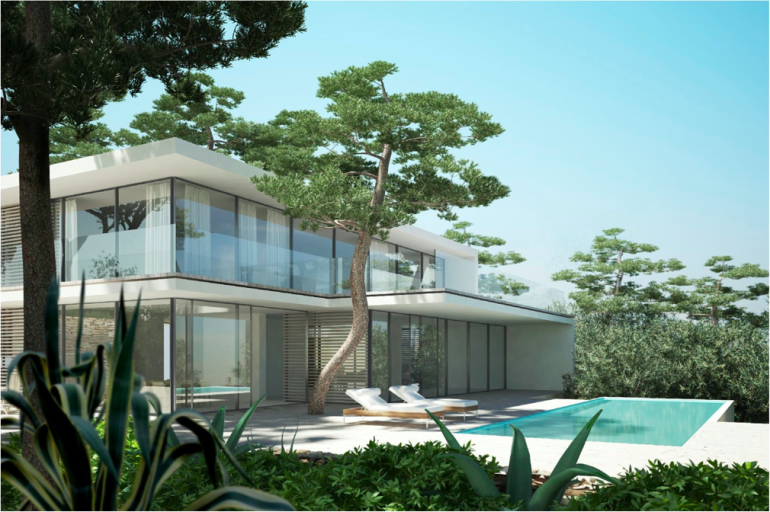 The main project idea is to design the house as a sea open belvedere with the maximum available vegetation left and to adapt the layout to the existing house. The partially open most sunny part of the house with the view facing north-east will enrich the current part with the existing trees, intensifying final integration of the project into the area. The chosen way of the design is based on lengthening of the dry-stone walls and creating supports in the terrain and underpinning of the house. 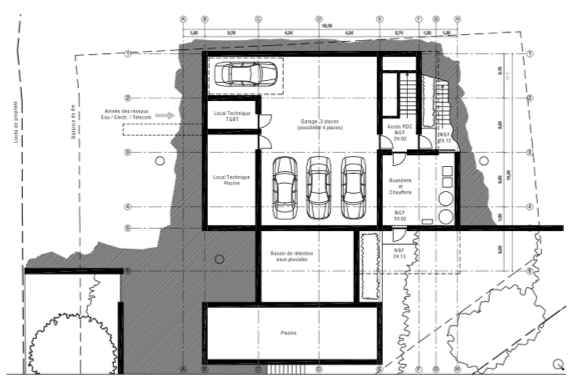 Rooms are placed into two floors, supported by those foundations and built from structural concrete slabs. The openings of these structural slabs are covered with wooden shutters (boards). The basic idea is to arrange a simple and typically mediterranean garden with little need of water and reduced amount of exotic plants. This really airy garden (plenty of free areas) with the view over the full-grown trees will make possible both integration of the house into the landscape and protection of the house. In the front upper vicinity of the house, an evergreen fence made up from one kind of plant will support the borderline and the final touches to the building geometry. 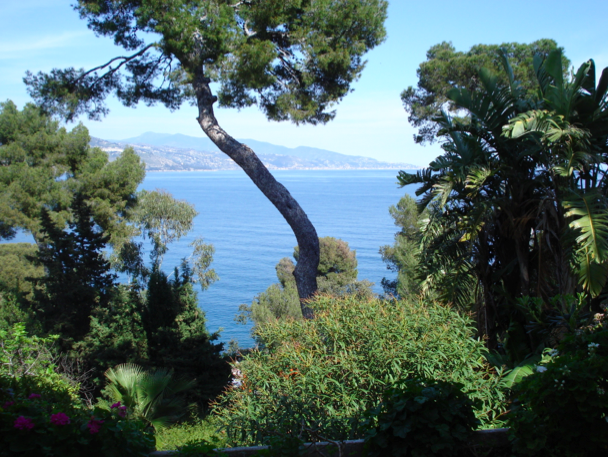 New trees and bushes are planted down the sloping garden to intensify impression of integration into the landscape and protection of the house, yet maintaining the view towards the sea. The existing path is left, leading onto the back viewing platform with a car park in front of the entry to the avenue. The plant fences seem to accompany the garden and emphasize the borders of the property. 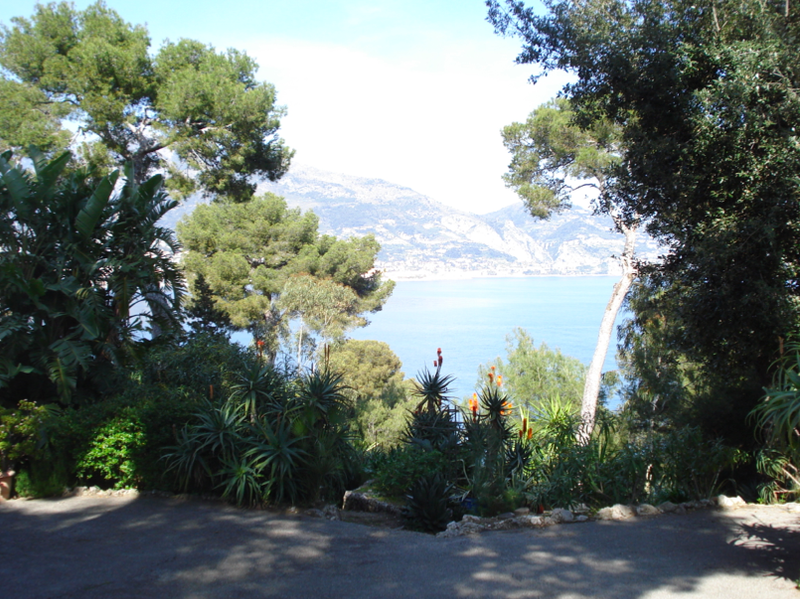 They are planted with the mediterranean evergreen bushes, which bring variety of bloomage and smells all year round.